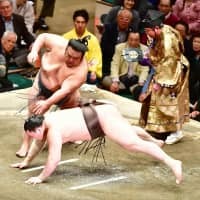 Hakuho gave up his share of the lead, falling one win behind Tamawashi (11-2) with two days remaining in the 15-day tournament at Tokyo’s Ryogoku Kokugikan. 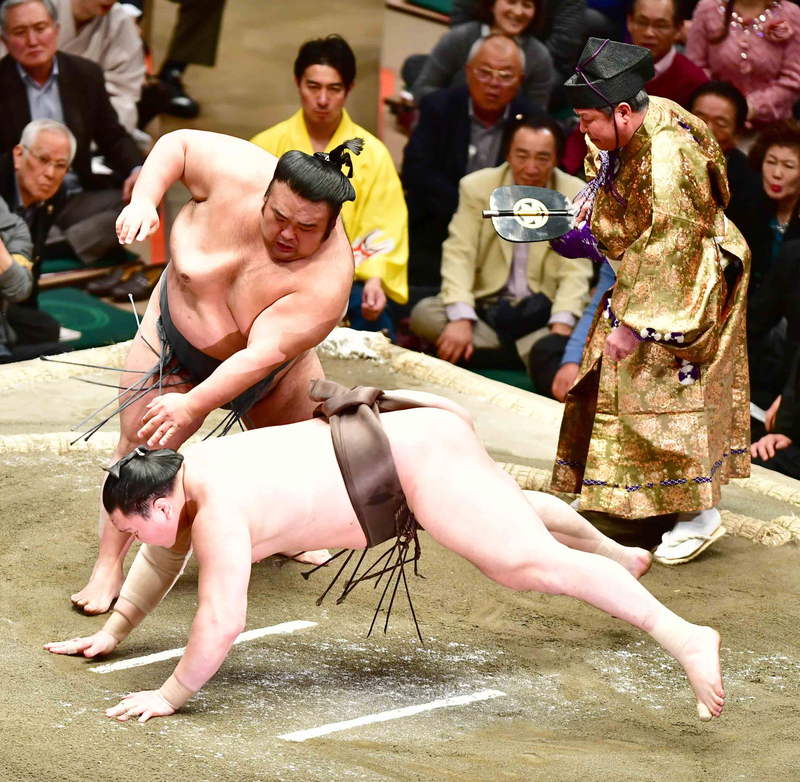 A day after his first career win over Hakuho, Tamawashi defeated No. 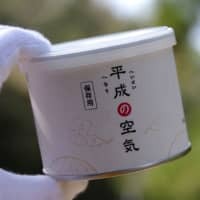 2 Hokutofuji (7-6) to stay on course for his maiden makuuchi championship. 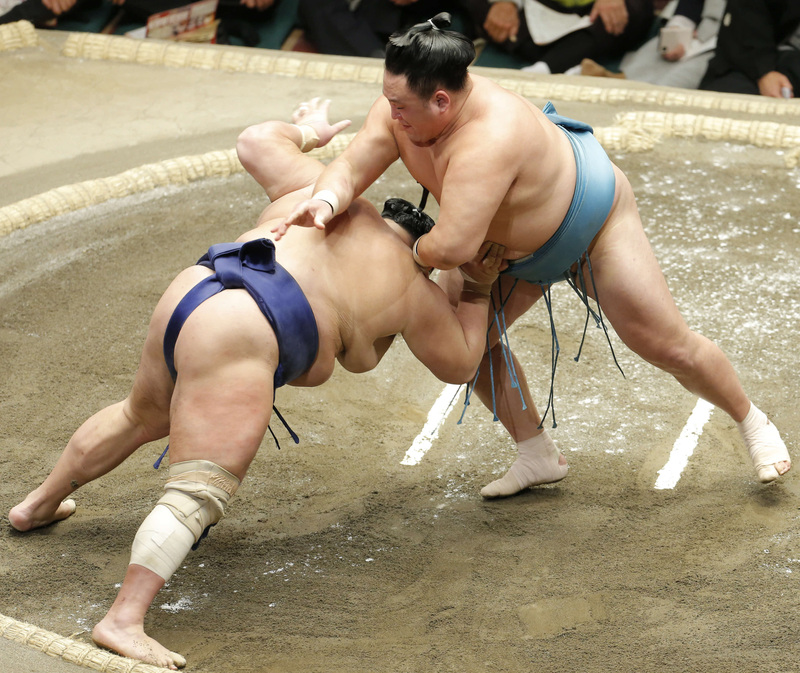 Tamawashi bulldozed Hokutofuji to the edge and slapped him down in a bout lasting only 2.9 seconds. In the day’s penultimate match, Goeido won an all-ozeki clash. He got a hold of Takayasu’s belt and quickly bulldozed him out, leaving both men with 7-6 records.